PEAH had the pleasure to interview Mr. Saliou Diallo as a PhD candidate in Development Economics, Centre for Studies and Research on International Development (CERDI). 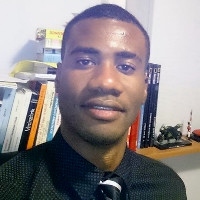 Mr. Diallo is  currently working on the results of fiscal capacity on the progress towards universal health coverage in low- and middle income countries, with a special focus on the effect of out-of -pocket expenditures on poverty. – PEAH: Mr. Diallo, as per your data, what about the figures currently available on public fund health expenditures per capita worldwide and in middle- and low income countries, respectively? –Saliou Diallo: In 2014, as sample year, public health expenditures per capita represented $762 worldwide. In middle income and low-income countries, public health expenditures per capita represented respectively $300 and $38. In contrast, public health expenditures per capita represented $3242, 85 times higher than low-income countries. –PEAH: What ‘out-of-pocket payment’ term does refer to? –Saliou Diallo: Out-of-pocket payments (OOPs) are defined as direct payments made by individuals to health care providers at the time of service use whose primary intent is to contribute to the restoration or enhancement of the health status of individuals or population groups. It is a part of private health expenditure. – PEAH: As for out-of-pocket payments for health, please detail about their percentages in low- and middle income countries and the relevant disparities among some equivalent level countries? –Saliou Diallo: In 2014, the percentage of health expenditures covered by out-of-pocket payments represented 36.2% in low and middle-income countries. There are many disparities among countries. While in Cuba and Rwanda, out-of-pocket expenditures on total health expenditures represented respectively 4.4% and 28.1% in 2014. In Nigeria, out-of-pocket spending covered 71.7% of total health expenditures during the same year. – PEAH: Tell us now, please, the effects of health-related out-of-pocket payments on the household impoverishment in Asian and African resource-limited settings. –Saliou Diallo: Out-of-pocket payments could have many consequences for households, particularly for the Poor. One of them is to jeopardize access to and the use of healthcare. Van Doorslaer et al., (2006) explored the effect of out-of-pocket payments on poverty in eleven Asian countries. They found that in some countries such as Vietnam and Bangladesh, in which health system is majorly financed by out-of-pocket expenditures, the estimated poverty is higher than the other countries, ranging from an additional 1.2% of the population in Vietnam and 3.8% in Bangladesh. In South-Eastern Nigeria, Onah and Govender, (2014) showed that on average, households spent $33 monthly on health care. That represents 12.1% of household monthly expenditures. – PEAH: What time dimension and how many low- and middle-income countries does your research engagement cover? –Saliou Diallo: Our research covers 66 low- and middle-income countries over the period 1996- 2012. – PEAH: Which poverty thresholds are to be considered? –Saliou Diallo: We consider two thresholds of poverty: $1.90 and $3.10 a day (Purchasing power parity). – PEAH: Owing to the fact that the major part of population in low- and middle-income countries works in the agricultural sector, to what extent out-of-pocket payments do worsen the current neo-liberal policies harmful effects on food access in the same countries? –Saliou Diallo: Agricultural sector still employs over two thirds of the labor force in low and middle income countries. Although neoliberalism and globalization offer opportunities for access to major markets, agricultural sector in low and middle income countries does not fully benefit from it because of structural problems. The resultant increased competition and the less competitive agricultural sector particularly in low income countries has the effect of reducing the income of farmers who have to bear the burden of heavy health expenditures. That’s leading them to poverty. – PEAH: Evidences from literature and your own research suggest that out-of-pocket payments for health should be reduced, mostly for the poorest. What does this imply for decision makers policies and governments directions? –Saliou Diallo: Firstly, government should increase public health expenditures. The threshold of 15% of total health government expenditures (Abuja declaration: engagement to set a target of allocating at least 15% of their annual budget to improve the health sector) is a first step. Secondly, low- and middle income countries should implement reforms to progress towards universal health coverage; wich is the main powerful way to reduce consequently the effect of out-of pocket expenditures on poverty. Finally, we found that government should develop initiatives that can improve employment of very poor people. – PEAH: Thank you Mr. Diallo for your insightful answers. VAN DOORSLAER, E., O. O’DONNELL, R. P. RANNAN-ELIYA, A. SOMANATHAN, R. ADHIKARI, C. C. GARG, D. HARBIANTO, A. N. HERRIN, M. N. HUQ, IBRAGIMOVA, ET AL. (2006): “Effect of payments for health care on poverty estimates in 11 countries in Asia: an analysis of household survey data,” The lancet, 368(9544), 1357–1364. ONAH, M. N., AND V. GOVENDER (2014): “Out-of-pocket payments, health care access and utilisation in south-eastern Nigeria: a gender perspective,” PLoS One, 9(4), e93887.